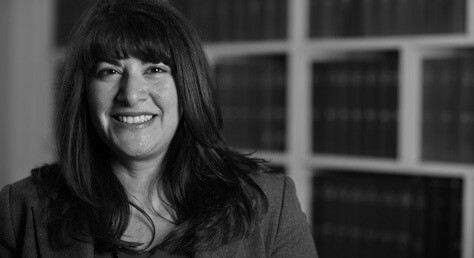 Aysen Soyer, head of the family team at Wilson Solicitors LLP provides some practical steps and advises on the process involved in applying for an injunction. If you are the victim of domestic violence or emotional abuse, there are ways that you can seek help, or get others to help you. Every person is entitled to be free of abuse by another. Here is a brief summary of the remedies available through the courts. Non-molestation orders (also known as Injunctions) are designed to protect individuals from abuse. An injunction is applied for under The Family Law Act 1996 (FLA 1996), and is an order prohibiting someone from doing something, behaving in a certain way, or instructing others to do so. It is also possible to obtain an injunction excluding a person from a certain area; e.g. a home, workplace or school. The word ‘molestation’ is not specifically defined in the legislation but covers not only violence and threats of violence but also intimidation, harassment or pestering. A non-molestation order carries a ‘power of arrest’, which means that the police will immediately arrest a person that has breached an injunction. The penalty for breaking the order can carry a sentence of up to five years in prison. Non-molestation orders can be applied for by a wide group of people who fall within the heading of ‘associated persons’, but essentially this covers people that are in relationships with one another, or related to each other. ‘Without notice’ means that an application is made to the court without the opponent’s knowledge. This type of application is generally made in emergency cases were you are fearful of abuse or repercussions if the opponent were to have knowledge of the application. The opponent is told about the hearing after the order is granted by the court, as the order is personally served on them. The Court usually gives the opponent an opportunity to respond to the allegations made, by fixing a return hearing date. This is a date a few weeks after the first hearing, where both parties attend and the Judge considers the order again. When the Court is deciding whether or not to make a non-molestation order, the Court will consider all the circumstances of your case including the need to secure the health, safety and wellbeing of both of you and any relevant child. The Court will consider all the evidence, such as a witness statement, medical report, statement in support or police documents to assess whether you are at risk of harm. When a non-molestation order is made, it can be for a specified period or until further order of the court. The order must be personally served on the opponent to be enforced and a copy needs to be given to the local police so they are aware that it exists. You might be able to get legal aid if you have evidence that you or your children have been victims of domestic abuse and you can not afford to pay legal costs. If you are the ‘opponent’ in the case and have been served with an injunction, then you may be eligible for legal aid depending on your financial means. Report any abuse. Go to your GP so they make a note. Tell people so that there is an independent record. In serious cases, the police may refer you to a women’s refuge so that you and any children are temporarily re-housed. Keep any address details secret from the opponent. Go to a family solicitor and get them to help you apply for an injunction. If you think you may need an injunction, or if you have any other family cases you need help with please contact us; we’ll be happy to assist you. To arrange an appointment or to speak with a solicitor today, please call Mavis on 020 8885 7986.